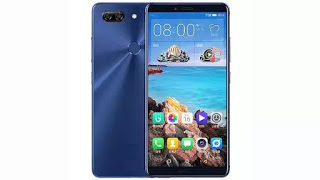 Ulefone T2 Pro smartphone Full Specifications and Price in Nigeria. Ulefone T2 Pro smartphone is out and available in markets nationwide. The device features a 6.0 inches screen display, 4G LTE enabled, runs on stock Android 7.0 Nougat which is powered by Mediatek Helio P70 chipset coupled with a 4GB of RAM and 64GB inbuilt storage. 2018 Detroit Motor Show, Mercedes-Benz G-Class‬, ‪Mercedes-Benz A-Class‬, ‪2018 Review, Photos of Mercedes-Benz G-Class‬, ‪Mercedes-Benz A-Class‬, ‪2018, video of Mercedes-Benz G-Class‬, ‪Mercedes-Benz A-Class‬, ‪2018, Next Generation Mercedes G-Class. Mercedes-Benz G-Class SUV which is known as the next generation model is set to be released on 15th January at 2018 Detroit Motor Show. 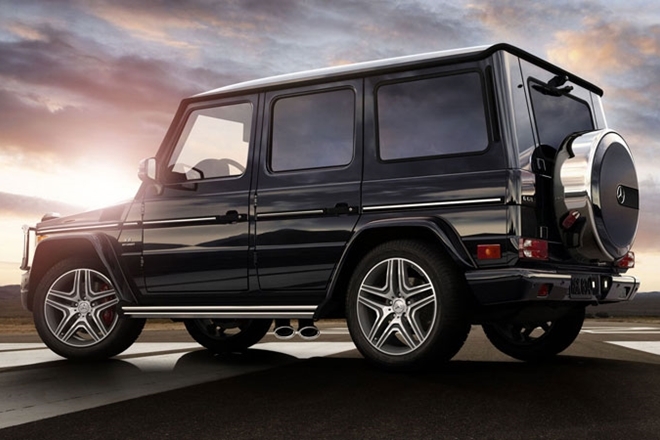 The German automaker has revealed the date of arrival of new G-Class in a video recently. Though not much details are available on the vehicle as of now, it is believed that the new generation Mercedes Benz G-Class will have a fresh exterior and a more luxurious cabin in comparison to the existing model. There have been reports on the internet suggesting that the cabin of new Mercedes Benz G-Class will take its inspiration from the S-Class. This is due to the fact that an image of the dashboard of company's new off-roader had leaked sometime back that shows heavy resemblances to the interiors of the S-Class. Having said that, the dashboard of the new G-Class will have few buttons and the button controls on the steering wheel will be metallic. Also, the old-fashioned screen will be ditched and twin touchscreens will be employed. The reports further claim that the new generation Mercedes G-Class will also share its electronics with the S-Class. The Mercedes Benz G-Class is widely known for its old-school boxy design and is in production for the last 38 years and is one of the oldest models to be continuously produced in the history of Daimler. The Mercedes Benz G-Class was originally developed as a military vehicle and later on, it was handed over to the public in 1979. Since then, the Mercedes-Benz G-Class has always been known for its supreme off-road capabilities coupled to comfort and safety. Coming back to the new G-Class, the 2018 model is expected to come with new engine options. The 4.0-litre turbocharged V8 engine will most likely be on offer along with the company's new 2.9-litre six-cylinder diesel engine. A nine-speed automatic gearbox is expected to do duties on these motors. Part of the off-road-friendly hardware includes an all-wheel-drive system along with three differential locks. The new 2018 Mercedes-Benz G-Class will get an independent suspension set up at the front and the rear also sees a new suspension that leads to a revised geometry. The new G-Class will also get a new steering wheel as the old reciprocating type set up has given way to electro-mechanical rack and pinion type unit. The Mercedes G-Class is expected to land on Indian soil later this year. 2018 Latest Laptops in Nigeria, best laptops 2018, cheap laptops 2018, best time to buy laptops. 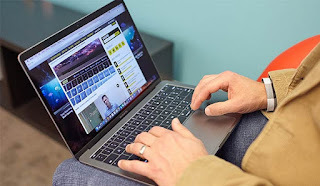 In the modern-day and age, laptops have become additional and additional essential to the final public, it doesn’t matter if you would liketo own a portal machine that’s smart for recreation, or handling employment, there area unit lots of choices accessible for you ought toyou would like to travel ahead and pay the money. Thanks to the ever evolving technology, laptops became plenty additional powerful, yet as economical than they accustomed be. You’re not needed to insert your portable computer into the charging when each hour approximately, and people huge cooling pads area unitslowly turning into a issue of past. Companies like dingle, Asus, HP, Lenovo, and magnoliopsid genus area unit operating day and night to boost what’s already higher, and believe it or not, they’re succeeding all right. 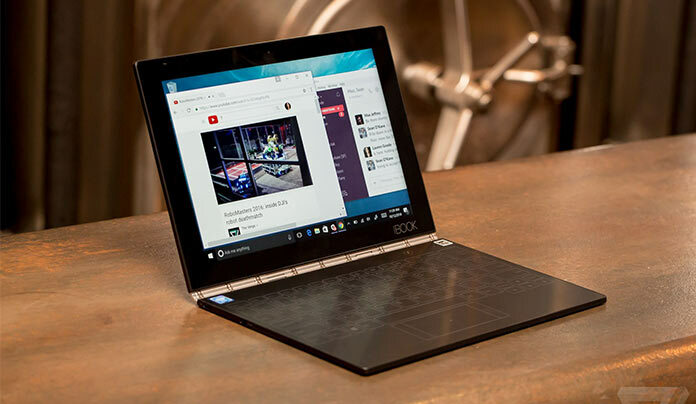 This has allowed them to unleash a number of their most wonderful laptops within themarketplace for the shoppers. 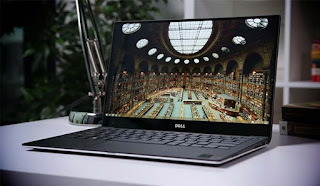 If you’re new this portable computer shopping for expertise, you’re aiming to be welcome with inordinateness of machines which willfit your wants, yet as your budgets. However, at a similar time, the possibilities of you obtaining stuck in confusion are there, because ofhowever saturated the market is. 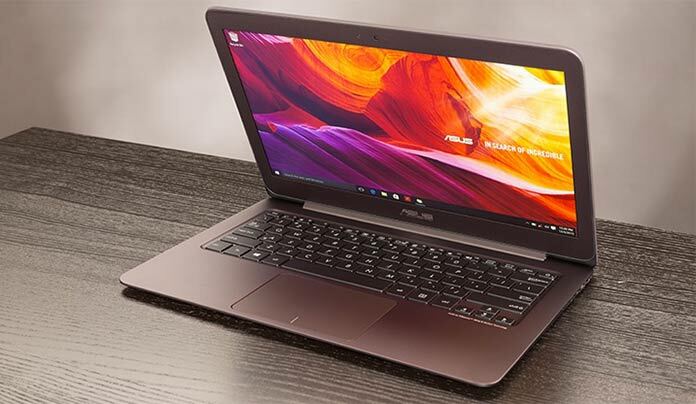 Keeping that in mind, we’ve ready a listing of ten best laptops 2018 that you just can purchase at the moment; whether or not you purchase them domestically, or opt for Amazon, these laptops area unit wonderful in each attainable method. 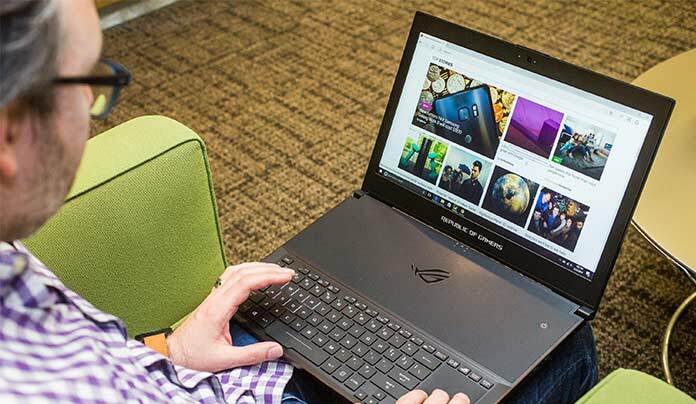 whether or not you would like to game, or work, the list has enough choices for you to settle on from. 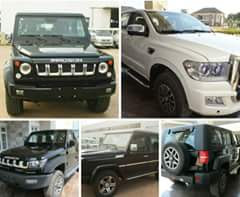 Innoson releases luxurious IVM G80 and G40 monsters 2017. If you're not proud of what our very own is doing in an industry dominated by foreign brands, I wonder what else you will be proud of. 9mobile 60MB free browsing cheat using Stark VPN is now working again after weeks it got blocked. Stark vpn has been updated two days ago with a new working proxy server. 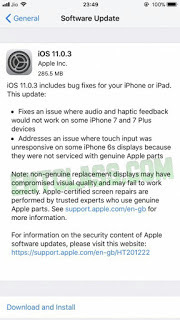 Apple which released iOS 11.0.2 last week, has given us another update that focuses on fixing the crackling sound when making calls on the iPhone 8 and the iPhone 8 Plus device and also other minor bugs, the company has yet rolled out another update iOS 11.0.3. Apple also notified its users about the use of non-genuine replacement displays, which could have compromised visual quality. Simply go to Settings from your phone > General > Software Update. From there, you should be able to update your iOS device to the latest version. Note that you will need at least 50% battery and about 300MB of data to start this Iphone and Ipad update. 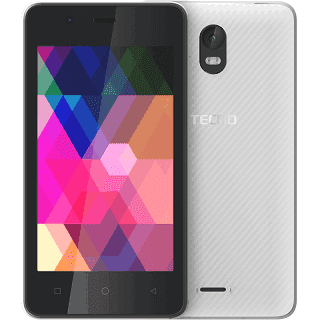 Tecno S1 is said to be one of the lowest price device from Tecno Mobile. It spots a 4-inches screen display, no 4G LTE network, runs on Android 6.0 Marshmallow, 1GB of RAM + 8GB of memory and 1500 mAh battery capacity. Gionee M7 the most anticipated Gionee Smartphone has been officially launched with cool features. In recent time, there have been so many rumors and leaks about this wonderful device, and now, it's finally out. Gionee M7 was made official in an event held in China. 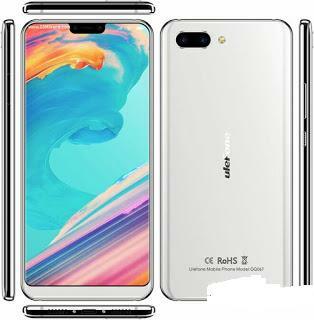 The device features a FullVision screen of 18:9 ratio, runs on Android 7.1 Nougat, powered by MediaTek Helio P30 chipset (which is the first phone with Helio P30 processor). The phone has a screen size of 6.01” super AMOLED diagonal screen and comes with a resolution of 2160 x 1080 pixels. There's a rear-mounted fingerprint sensor, dual rear cameras 16MP+8MP with Led Flash and a front facing camera of 8MP. Gionee M7's CPU has eight Cortex A53 cores, four of them clocked at 2.3 GHz. Features a 4000mAh battery capacity, 6GB of RAM + 64GB internal memory with microSD slot for up to 256 GB or more. The power button and the volume rockers are on the right side and the phone lacks a home button on the front because of the big screen. 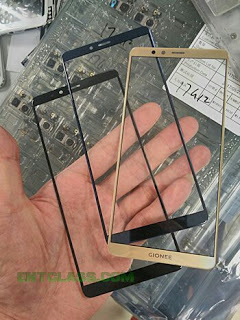 Gionee M7 came in five different colors - Sapphire Blue, Star Blue, Maple Red, Champagne Gold and Black. 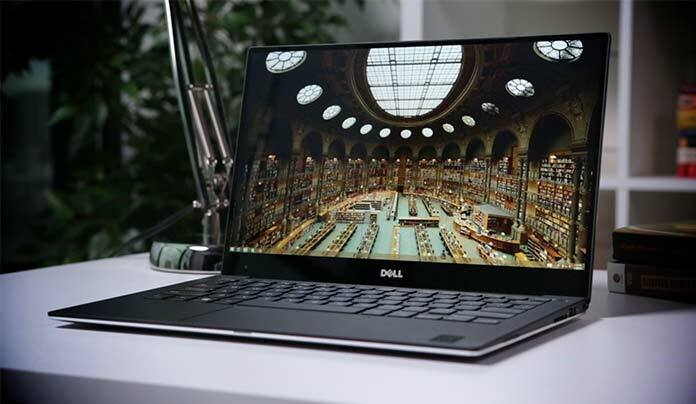 It will be priced in China for CNY2,799 which is roughly $422 in United states, €360 in Europe and about NGN 150,000 in Nigeria. The phone will be available in the China market first from September 26 2017, before making it to other countries. 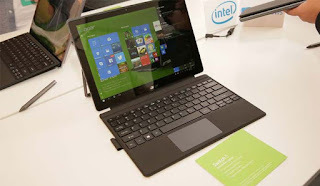 Price About 360 EUR / $422 USD / NGN 150,000 in Nigeria. PPSSPP open-source emulator for the Sony PlayStation Portable recently today hits 50 million downloads on Playstore. A big congratulations to the developer Henrik Rydgård (one of the co-founders of the GameCube/Wii emulator Dolphin). Like all console emulators, it took a while to get commercial games running, but compatibility is pretty good these days. Not only can PPSSPP play games at a higher resolution than the PSP's original 480x272 screen, but it also supports advanced features like texture scaling and anisotropic filtering. This is really a good news, as most of the apps that pass 50 million downloads on the Playstore are ones from major companies, but not this time. PPSSPP broke the record and it's a big celebration to the developers of this wonderful app. For those who use PPSSPP emulator on their Android mobile device, am sure will concur that it's a great app to play Sony PlayStation games on Android phones. You can download PPSSPP apk for Android device on Playstore Here. Also please support and encourage the developers by buying PPSSPP Gold on the Play Store for $4.49. Download PPSSPP emulator for other devices here. Most anticipated Telecom Satellite TV (TSTV) is set to begin business few days from now - October 1st 2017 to be precise-. 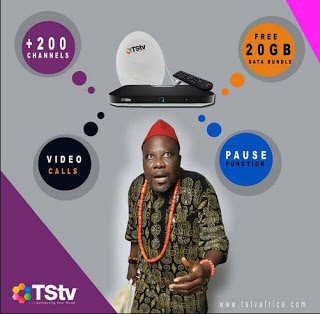 TSTv has officially released the full list of channels, price of their bouquets, price of the decoder as well as the availability in all African countries. TSTv, Telecom Satellite TV is a Pay as You Watch TV network. It's here to compete very high with MultiChoice DSTv and GoTv. how much for the decoder, full channel list, price for all bouquet plans. TSTv Daily Bouquet costs N200 with 500MB data. Now, let me explain something. Some people might be thinking if the data is what you use to watch the channels. No no no. That's not it. Seriously, it's not what you think. The data plans allocated to the various bouquets is not necessarily what you use to watch the channels. There's more to it. The most interesting part of all these is that, you can connect your PC and smartphones to the decoder via WiFi hotspot and enjoy free browsing and downloading with the data. Really cool right? Ofcourse it is. WHAT IS THE PRICE OF TSTV DECODER? It cost just N5,000 to buy the decoder; this includes the satellite Dish as well. Very cheap and much affordable right? Oh Yeah! I just hope that TSTv fulfills all these mouthwatering promises and features. If they do,vMultiChoice DSTV, GoTv, Startimes and even Consat are in big mess. You know what that means. Gionee X1s is the most recent Gionee mobile device in Indian market as of today. The phone is exclusively for the Indians and will be available in the Indian market on September 21st, 2017. The phone runs on Stock Android 7.0 Nougat which is fueled by MediaTek chipset. There's also a rear-mounted fingerprint sensor and a 4000 mAh nonremovable battery. 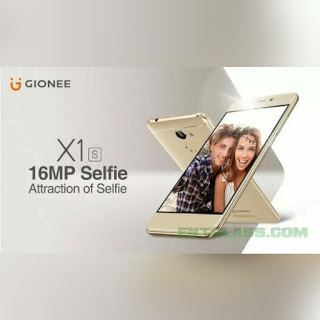 Coming to the price, Gionee X1s should be priced at INR 13,000 in India. Doogee S60 has been officially launched with insane specifications and features. It has a 5.2 inches screen display which is protected by corning gorilla glass 5, 4G LTE enabled, fingerprint scanner which is rear-mounted. Doogee S60 came with a massive 6GB of RAM coupled with 64GB internal memory which can also be expanded via an SD card. There's also a 21MP rear camera with a LED Flash and 8MP front facing camera. This smartphone device is built to take some beating as it features dust, scratch and water resistance, a massive 5580 mAh battery capacity. This device also supports wireless charging technology, just like Apple and Samsung devices. 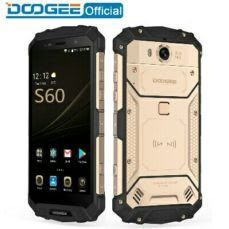 Pre-order for the Doogee S60 has began in a couple of international sites like Gearbest and Banggood. It is expected to start shipping late September. Doogee S60 is not officially available in Nigeria, but you buy the phone from a third party seller at Jumia. The price starts at $299.99 at Banggood. Doogee S60 Price in Nigeria is expected to range from 115,000 Naira to 190,000 Naira depending on your location in Nigeria. 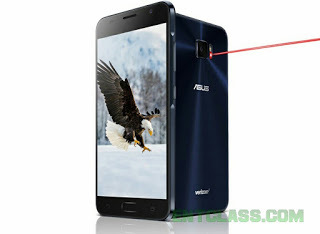 Asus Zenfone V V520KL device is out. It has a 5.2 inches AMOLED screen display which is protected by corning gorilla glass. It features 4G LTE network, fingerprint sensor which is front-mounted (home button). Asus Zenfone V V520KL has a 4GB RAM + 32GB internal memory, runs on Android 7.0 Nougat which is powered by Qualcomm snapdragon 820 chipset. Also, Asus Zenfone V V520KL is exclusively for Verizon in the U.S, and it's priced at about $380 USD. Price $380 in United states. Infinix UI - XOS 3 customized version was announced to be released soon or later. They made this known on their official page, with a caption "The third major update is coming soon". Infinix is working hard to release new updates to most of their devices for more system enhancement and stability with a beautiful user interface. Infinix XOS 3 release date has not been made official, but we should expect it soon in the forthcoming weeks. The XOS UI generally comes with amazing features, one of which is the 3 fingers feature. 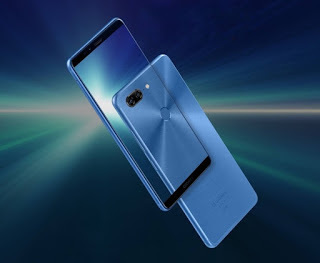 I'm sure Infinix XOS 3 will come with cool features. 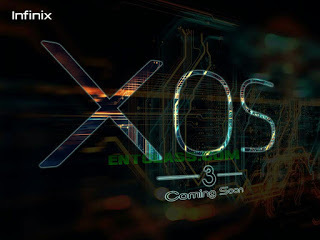 Watch out for the official release of Infinix XOS 3. 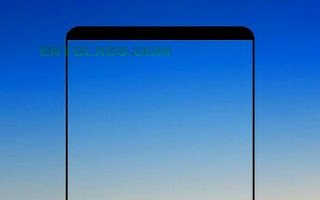 Nokia 9 will feature a bezel-less design with a screen size of 5.5 inches AMOLED display which is protected by corning gorilla glass 5. The phone also features dust resistance, water resistance of up to 30minutes in water, 4G LTE network, rear-facing fingerprint sensor. The launch date of Nokia 9 hasn't been made official by HMD global, but we should be expecting it anytime soon. 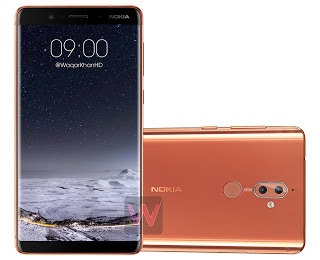 Nokia 9 is said to be coming pre-installed with stock Android 8 Oreo operating system which is powered by Qualcomm MSM8998 Snapdragon 835 chipset. Price About 750 EUR / $899 USD / NGN 323,000. Motorola recently listed the phones that will be getting Android Oreo update.More devices are beginning to get the Android 8 Oreo update so Motorola has also decided to take same bold step. 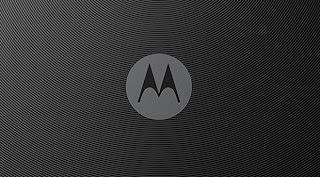 All owners and users Moto smartphone and are hereby informed that Moto company has officially published a list of devices that will receive Android 8 Oreo update. Moto G4 series owners must be disappointed. Moto Android Oreo update date hasn't been made known to Johntechservice but has announced the list of devices to be updated, but says the update will start rolling out “this fall”. That sounds like anytime from September 2017. Dear Readers, is your Moto smartphone on the official Oreo update list? Let's hear from you. Nokia set to launch the smaller version of Nokia 3 and this one is said to be called Nokia 2. 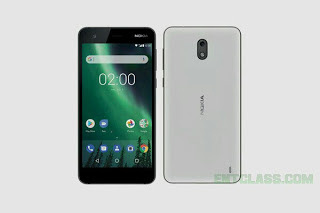 Nokia 2 is a budget phone with some low end specifications and features. It features 4G LTE network, 4.7 inches screen display, runs on Android 7.1 Nougat which is fueled by Qualcomm MSM8909 Snapdragon 210 chipset. If you check below, there are some missing specs which are not yet confirmed by Nokia. You should just take the info here with a pinch of salt. Coming to the price, it's expected to be sold for $145 USD, which is roughly NGN 52,000 in Nigeria. Have a look at the available specs below. Price About 120 EUR / $145 USD / NGN 52,000 in Nigeria. Gionee M7 Unveiling Date September 25, 2017. Gionee M7 smartphone unveiling date has been announced. This powerful device is said to unveiled on September 25, 2017. 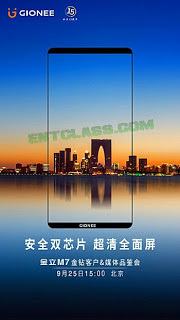 According to a reliable source, Gionee made the official announcement on Weibo's website and confirmed the launch date. Johntechservice Blog was informed that the event for the phone will be held in China that same day of unveiling. Gionee M7 is said to be powered by MediaTek's Helio P30 SoC, and sports a 6.0-inch display of 1080 x 2160 pixel resolution. Packed up with a 6GB of RAM, while internal memory is 64GB. It might interest you, Gionee M7 Camera is quite impressive as it features 16MP rear shooting and 8MP front shooting. The phone will be coming with Stock Android 7.1.1 Nougat straight from the box. 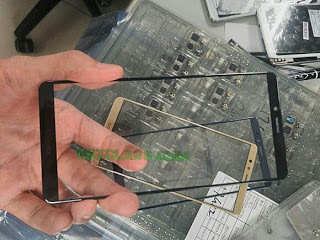 NOTE: Johntechservice blog is looking forward to a Power variant of the M7, which is set to be unveiled on September 28 during an event in Thailand. Am sure can't wait to see it. YU Yureka 2 was announced recently. The device has been scheduled to be made available in the Indian market coming September 20, 2017. YU Yureka 2 is also known as YU Yureka 2 YU5551 and it's exclusively for India. 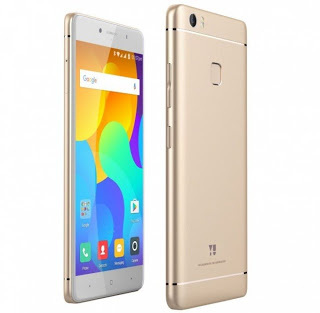 Below is the full detailed specifications of the device as well as the price in India.